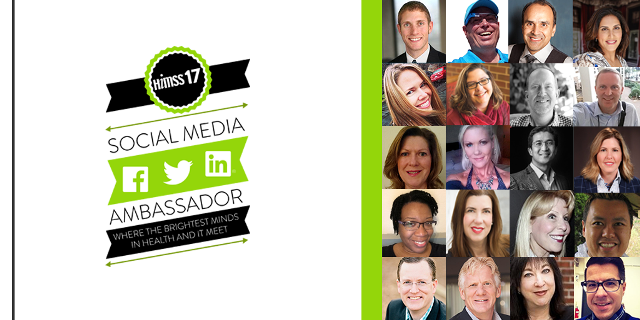 We’re honored that once again, John Lynn (@techguy) has been selected as 1 of 20 HIMSS Social Media Ambassadors at the 2017 HIMSS Annual Conference. This is an incredible honor when you consider that at last year’s HIMSS over 20,000 people were tweeting on the conference hashtag. To be 1 of the 20 extraordinary people on this list is a wonderful opportunity. The great part is that you can easily follow all fo the HIMSS17 Social Media Ambassadors by simply following this Twitter list. No doubt, they’ll all be extremely active during the HIMSS17 conference in Orlando and well beyond the conference. Plus, if you want to meet many of these people in person at #HIMSS17, check out this full list of HIMSS17 meetups where you’ll find John Lynn and many other social media ambassadors. We look forward to seeing many of you at HIMSS 2017! This entry was posted in Healthcare and tagged HIMSS, HIMSS 2017, HIMSS Orlando, HIMSS Social Media Ambassadors. Bookmark the permalink.